A new Group Managing Director/Chief Executive Officer, Mrs. Olatokunbo Adenike Fagbemi has been appointed for the Nigerian Aviation Handling Company Plc (nahco aviance), following the adoption of a new group structure by the Board of Directors. Her appointment was announced in a notice to the Nigerian Stock Exchange (NSE) by the Board of Directors of the company. A statement explained that Mrs Fagbemi took over effective December 20, 2018, following the resignation of Mr Idris Yakubu, the erstwhile Managing Director. 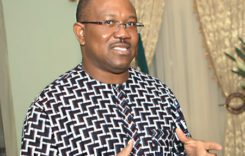 Fagbemi’s appointment is to drive the new Group structure announced by the Company. All NAHCO’s subsidiary companies, including NAHCO Free Zone (NFZ), Nahco Energy and Power (EPI) and Mainland Cargo Options Limited (MCO), will report directly to the GMD/CEO. Fagbemi, a thoroughbred Aviation Management Professional and a management turnaround expert with IATA, ACI and ICAO Certifications will bring on board her wealth of experience in championing the agreed strategic transformation plan of NAHCO following a Board and Management Retreat with inputs from KMPG. Fagbemi, would, in the immediate, have the task of repositioning the company, maintaining industrial harmony, energising the staff and improving stakeholder relationships and values. She is also expected to coordinate and drive the new audacious, bold and challenging initiatives that will establish NAHCO Plc as the leading ground handling company in West and Central Africa in the shortest possible time. She is one of the few African women to have achieved the highly rigorous standards for expertise in the field of airport management including aviation ground handling and facilitation. In addition to the IAP Certification, Fagbemi holds a Master’s Degree in Business Administration from IESE (“Instituto de Estudios Superiores de la Empresa”) University of Nevara, Spain. She also holds a Bachelor’s Degree in Pharmacy from the University of Ibadan. She also attended Maryhill Convent School Ibadan, Queens School Ibadan, International School Ibadan, Harvard University USA and Cranfield University, UK. Fagbemi holds Certificates in Air Transport Management, Airport Commercial Revenue Development, from the Cranfield University, UK. She is a holder of Certificate in Leaders in Development Infrastructure in an Emerging Economy from Kennedy School of Government (KSG), Harvard University. She has facilitated several training programmes for Airport Council International (ACI), several airlines, ground handling companies and the Nigerian Civil Aviation Authority (NCAA) etc. An alumnus of the Lagos Business School, Fagbemi has had the privilege of working and training in various aspects of Airport Management, Passenger Handling, Ramp Handling and Cargo Handling at; Dubai International Airport, Changi Airport Singapore, Murtala Muhammed International Airport Ikeja, Hartsfield Jackson Airport, Atlanta and Dallas Fort Worth Airport amongst others. She has hands-on Consulting, Business Advisory and Financing expertise having worked with several ground handling companies, Civil Aviation Authority in Nigeria, Gambia and Sierra Leone. Before her appointment as GMD NAHCO, she has hands on consulting, Business Advisory and Financing expertise, having worked with several ground handling companies, Civil Aviation Authority in Nigeria, Gambia and Sierra Leone. Fagbemi has attended several International Civil Aviation Organisation (ICAO), International Air Transportation Association (IATA) Ground Handling Council (IGHC), Airports Council International (ACI) courses and seminars. 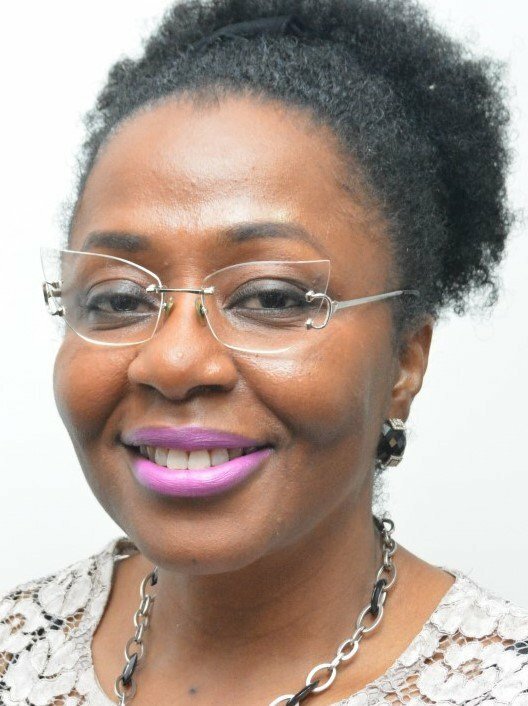 She served as an Executive Director with Springfountain Infrastructure Limited and the Managing Director of the African Aircraft Leasing Company (AALC). Fagbemi is married with three children. Her hobbies include reading, aerobics, and travelling.